We often get asked about popular magnet sizes. 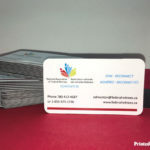 3.5″x2″ (business card size) and 3″x2″ are popular rectangles that are available with square and rounded corners. 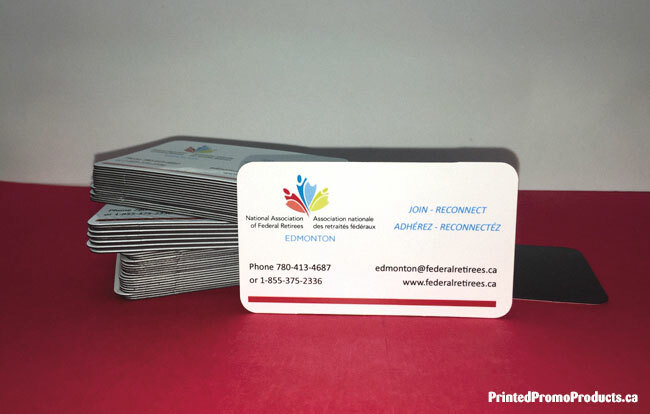 This order of fridge magnets was for a client in Edmonton who was looking for 3″x2″ magnets. The fridge magnets we make are gloss laminated, 28pt thick which means they are powerful enough that they do not slide down your fridge and will hold up paper. 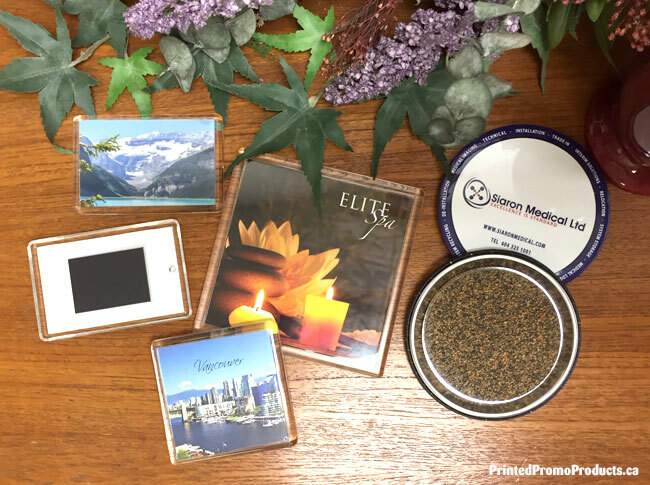 If you’re interested in ordering custom fridge magnets, please visit our Magnets page for more details and pricing. If you have any questions please contact us. We deliver to individuals and businesses across Canada daily, small towns to large cities. We have accounts with a number of local and leading couriers including FedEx, Purolator, UPS, Canpar and Canada Post. So delivering to Surrey, Edmonton, Calgary, Saskatoon, Winnipeg, Montreal, Toronto or Halifax is no problem. We can also take care of your shipping needs to the USA. Contact us for a shipping quote. There are a lot of different types of magnets available in our industry. 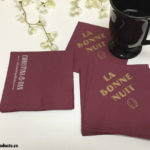 Flexible fridge magnets can range in thickness and holding power, there are various options for the finish and the option of being waterproof. All play a factor in the cost of fridge magnets. The thicker the magnet, the stronger the holding power. 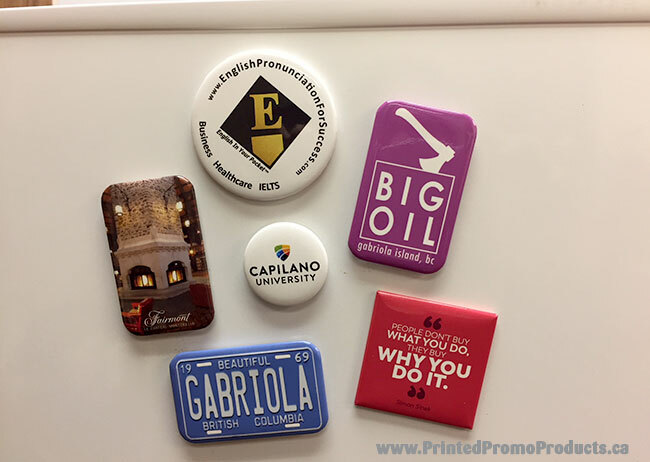 The most common fridge magnet materials are 11 mil, 15 mil and 20 mil thick. The 11 mil magnets (business card weight approx.) won’t always stay put and can slide down the fridge. They do not have enough holding power to hold up a piece of paper and have a tendency to curl up on the edges. 15 mil and 20 mil magnets cost a bit more but will hold up paper on the fridge, lay flat and the fridge magnet will stay in place. Now for the finish options and what makes magnets waterproof. 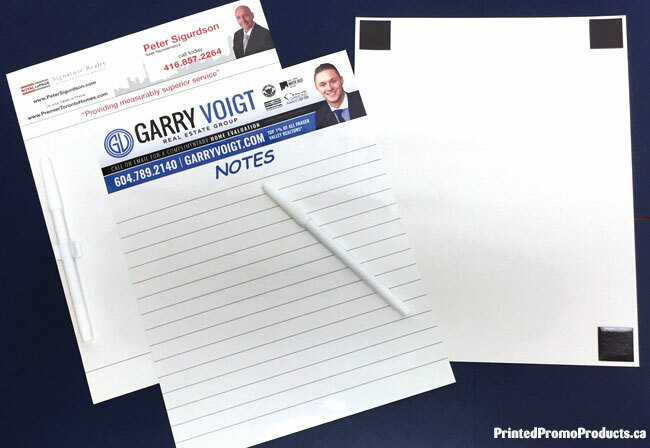 The printable surface is gloss paper or matte vinyl. A varnish or UV coating can be applied after printing as well as a laminate or in some cases, nothing is done after printing. The extra coating and laminate can provide protection from scuffs, marks, fingerprints and enhance the colours of your artwork. The paper option is not waterproof as vinyl is. Vinyl is normally not laminated or needs an extra coating as the surface is much more durable. 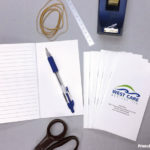 It is a good idea to see samples of previous work to check out the print quality, thickness and finish before you order. Not all suppliers will make all the different types of magnets either. 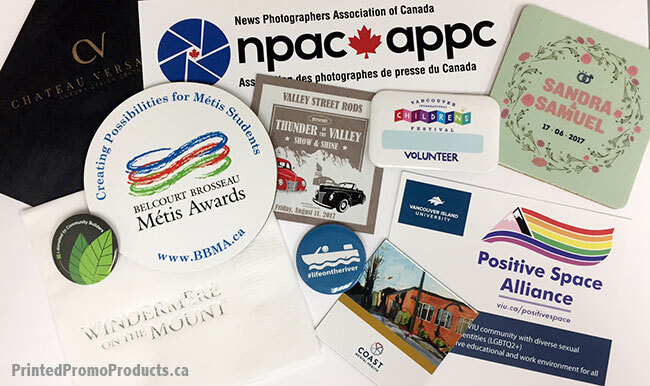 Your budget, the application and reason for the fridge magnet purchase will help choose which type of magnet will work for you and which will represent your brand or event the best. 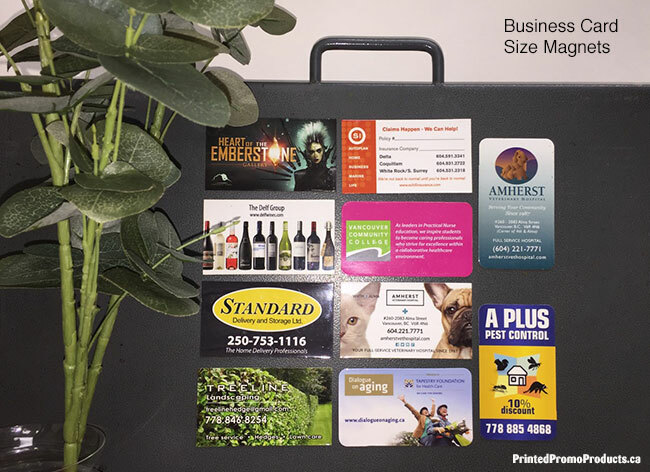 What do we produce… Our standard fridge magnets are 28 mil thick (20 mil magnet material with a paper print and gloss laminate). We do offer the 15 mil version for our larger size fridge magnets. A large magnet covers more surface which makes for a stronger hold. 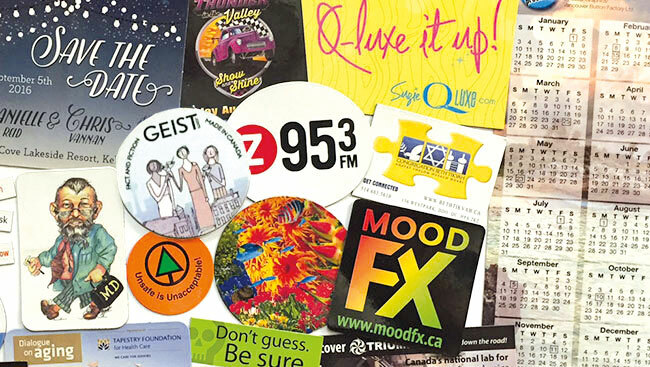 The waterproof, outdoor and vehicle magnets we produce are 34 mil thick (30 mil magnet material with a vinyl print). 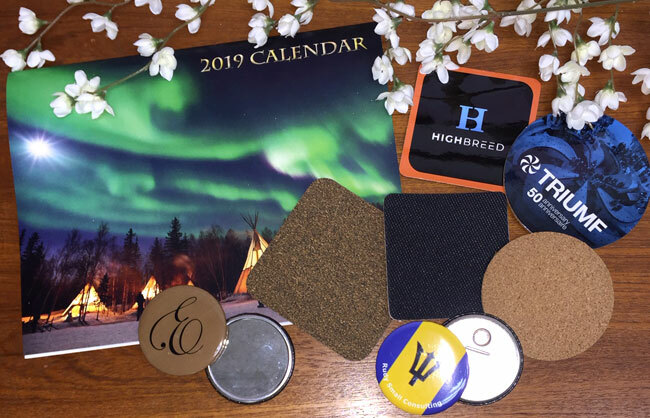 Visit our Magnets page for pricing and to see all our stock sizes. If you have any questions, please contact us.